Do you find the automatic launch of the Server Manager a pest? I admit it is a great tool. But, I rarely use it. I spend most of my time knee-deep in Exchange consoles. That’s my focus. So, when I log in to a server to do something real quick that extra delay of launching and closing the Server Manager is a nuisance. 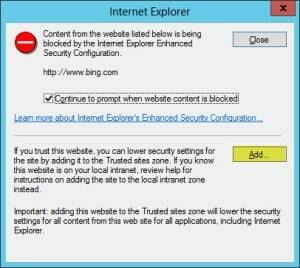 If you have used Windows Server products for some time, then you have probably run into Internet Explorer Enhanced Security Configuration. It’s that pesky feature that Content Blocks any site not in your Trusted Zone. One workaround is to simply add every site that you trust. 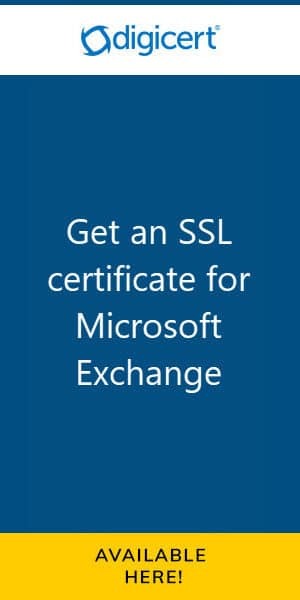 This is the preferred Microsoft way to allow access. When this dialog box appears, click the Add button. The Add this website field should already be populated with the site you are trying to access. Simply click the Add button, followed by Close. The page will reload with the website you wish to trust. Now, this can become quite tedious. Password Crack a Domain Controller in under a minute. So, we thought it would be awesome to do a quick follow up to our previous video titled: Password Crack Windows Server 2008 R2 in under a minute! In the previous video we password cracked the Local Administrator account. Well, we decided to take it one step further. In this video we will be password cracking the built-in Domain Admin account. Scary huh? [Read more…] about Password Crack a Domain Controller in under a minute. Password Crack Windows Server 2008 R2 in under a minute! Anyone knows that losing a password is a horrible feeling. Even more-so when it is for a server. In this tutorial video I step you through the process of recovering the local administrator password on a Server 2008 R2 system. A process that can be completed in under a minute, saving you both time and money. I finish the article by discussing a multitude of deterrents, so someone doesn’t do this to you. 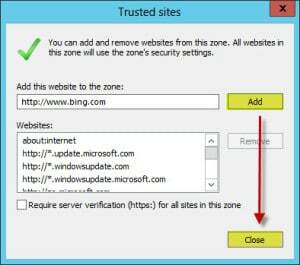 [Read more…] about Password Crack Windows Server 2008 R2 in under a minute!